Wanting to advance in your career field? Struggling to breakthrough the glass ceiling into the next big promotion? Trying to grow your brand online and among your colleagues? Working to create a niche for yourself and your expertise? Looking to reach and engage customers and clients that fit your business? Building a startup business or leading a company and need to establish yourself in your industry? Needing to position yourself to get public relations and speaking engagements? So is everyone else. So, how exactly do you stand out among the rest? That's why I created The Business Of You. If you can optimize your own brand and message, you will be able to maximize your earnings and benefits (whatever that may be to you!). Regardless of what you do or how you do it, everyone needs to be in the business of themselves before they can be in the business of helping others. Whatever your need and desired outcome, you can achieve it. This is based on industry best practices and my own experience in packaging myself and others, resulting in key networking connections, invaluable media attention and speaking engagements, multiple double-figure salary jumps, strategic title advancements and 6-figure yearly income. She has instinct and intuition. "Tiffany is a natural. So much about being good at PR as to do with being able to read between the lines. Tiffany brought an instinct and intuition that enabled her to achieve great results where others failed. She is passionate, organized, and driven; with an endless amount of energy. I would be glad to work with her again." She honed in on tiny details and gave fantastic suggestions. "Tiffany was fantastic while helping me work on my overall focus for my business. Her ability to hone in on tiny details and give suggestions for the now and the future were truly fantastic. She made it easy to get together via phone and work through all of her reviews and suggestions. Her follow up with summaries that I could keep for my files was very informative. I love that she made our time together fun, productive, and extremely positive. Her recommendations for my business are being placed into action and I now have a wonderful to do list for the future as well which she can help me with. I recommend Tiffany to both small and large businesses to be their guiding light and give wonderful insight on their companies." Our PR strategy stood out. "Tiffany is very meticulous and thorough and her many years of experience have definitely been a time/money saver. She helped us define our marketing strategy and goals specifically tailored to my industry and has done a lot of research on my competitors to ensure that our PR strategy stood out." The Business of You has been designed to evaluate, critique, improve and craft your brand and message, so you can get busy doing what you love with who you want to do it with. This is perfect for career professionals, consultants, coaches, creatives and entrepreneurs who are looking to reach a specific personal branding goal. It's time to step out in a big way and achieve your career and business goals. Other companies offering this kind of program start service costs at $1,250 and go up to $10,000 for ongoing monthly audits and comprehensive blueprints on how to achieve specific goals. The people you work with change as employees come and go with the company. Not with Dreamer & Creator. In the Business of You, you will work one-on-one with me and have my undivided attention to review, craft and hone your personal brand positioning goals. You will receive everything the "other guys" provide, a comprehensive audit, review sessions and customized plan, for one-third of the cheapest program. On top of it all, you won't need to bring me up to speed if you ever need a tune-up, like you will with the new account person you'll work with over there. You're getting proven expertise in business, marketing and communications from the same person, me!, every time. Get in the business of you. I can't wait to begin working with you. 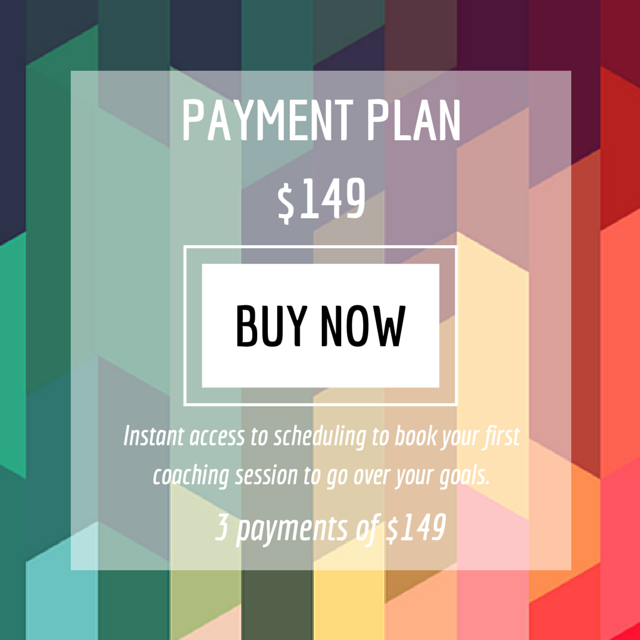 We're going to dive right in on our first coaching call to outline what it is you are wanting to achieve. I'll get in to the weeds and prepare an audit, suggestions for improvement and a strategy plan. Then we'll get back together to go over everything and discuss your plan of action. Before you can be in the business of helping your clients and customers, you have to get your brand right. It's time to listen to that voice inside you that wants to step out in a big way and become the game-changing genius you are. Make your impact on the world in your own unique way. Maximize the potential of you, your business and your career. Live your brand and knock the socks off of your competition.